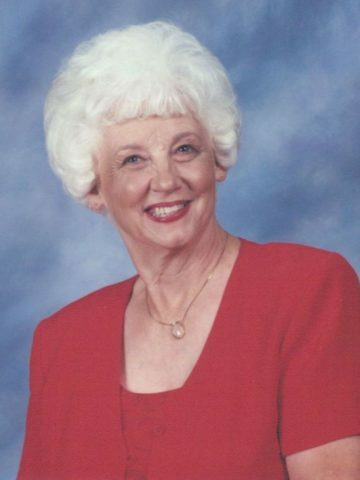 Maxine Redding Wiggs, born in Nashville, TN on November 1, 1934, passed away on July 26, 2018. Survived by her sons,Ed (Sharon) Wiggs, Mike (Penny) Wiggs, and William Joseph Wiggs; brother, Harold (Martha Jane) Redding, sisters-in-law, Donna Redding, and Naomi Redding, four grandchildren, and four great-grandchildren. Visitation will be at Cole & Garrett Funeral Home, Goodlettsville Sunday from 2-6pm. Funeral service will be Monday July 30, 3018 at 2pm with Rev. Ken Castleberry, officiating. Visitation at the church will be one hour prior to service time. Interment to follow at Forest Lawn Memorial Gardens. For those desiring, donations in lieu of flowers may be made to Parkway Baptist Church, 505 Cunniff Parkway, Goodlettsville, TN 37072. My prayers are with all of the family. She was a very special lady. We loved her so much & knew her at Senior Citizens, joining shortly after she did. She was in my Reminisce program, joining I conversation as asked. We sure are going to miss our sweet friend. We are sorry for you. I love you, my dear sweet friend. I’m going to miss you terribly. I will miss My Special Friend and remember the Fun times We had together. My Prayer are with the Family. Maxine was a wonderful, fun lady who meant so much to our family as we got to know her during her friendship with our uncle, Herman Carlton. She shared many happy hours with him and made his latter years very happy ones. She was a wonderful Christian woman who was very dedicated to her church and she particularly loved singing in her church choir. She gave many hours of volunteer service to others in need. She will be missed by all of our family. Our condolences go to every member of her family. but you also rejoice . (Precious in the sight of the Lord is the death of his saints).